Facebook has this remarkable feature entitled “On This Day” where I am reminded of what had gone on in my life by the posts I had made on that particular date. These memories are amazing. Some of them I can’t believe I had the audacity to share on Facebook while others are absolute treasures. For example, this past week I saw photos of Mother’s Day celebrations with my kids in Winnipeg. This photo goes back to 2013 when I had returned to Winnipeg for knee surgery. Another photo dates back to 2015 when I had returned to Winnipeg for my book launch of Alive Again. A post from 2009 has me teaching an aquafit class at the West Portage YMCA and then going to a church service followed by lunch with friends. In 2011 I was in Culiacan, enjoying my first year teaching in Mexico. Back in 2015 Donna and I had gone on a tour of the Legislative Building in Winnipeg. In 2016 I was in Mazatlan and in 2017 I was here in Leavenworth. And I wonder where I will be next year at this time. On This Day is much more than a conglomeration of posts and events. It is the story of my emotional and spiritual growth. It depicts the trials and tribulations of being single again after thirty-six years of marriage. It hits on some of the more sensitive experiences and awesome adventures I’ve had in the past ten years. Of course there are numerous posts I could have written about my life, but the more personal issues are not things I care to share with the Facebook world. Much of my life will always remain private and will be known only by those closest to me. And that’s the way it should be. The past ten years has seen me living in three different countries and in seven different cities. And yes, Kyle, your mother is still a nomad. Even U.S. Immigration has adopted that term in my conversation with them last month when I returned to Washington. I think a lot about the meaning of life these days. I guess that comes with growing older. Time is precious and life is to be lived. The life I have chosen involves extensive exploration, exciting discoveries, constant change and adaptation. It is not the conservative, conventional life that I once so tightly embraced. It has drawn a magnitude of criticism from family and friends. Nonetheless it has become my mantra. And I’m sticking to it. On This Day, I reflect on all the remarkable people who have shared in my life in the past and continue to do so today. I am truly blessed to have friends wherever I may go. And I always look forward to the new friends I will meet on my journey, wherever that may take me. I was on the phone yesterday morning with a friend from Leavenworth and our conversation turned to how God has done awesome things in our lives by having amazing people cross our paths. In this post I would like to share with you one of these amazing people who came into my life almost four years ago when I lived in Guadalajara. I had just returned from having my second knee replacement in Winnipeg. While I was glad that I did not have to contend with ice and snow, I was a little apprehensive about leaving my security blanket of medical expertise back in Canada. I was teaching English at a school in Miravalle and Saturday was Grammar and Conversation Club. One of my new students, Pedro, is a doctor who was an orthopedic surgeon. His specialty? Knee replacements! Of course he often chides me that I should be using a cane and that I walk too much, a very different philosophy than that of my doctor back in Winnipeg. Pedro is an amazing student. He constantly reads books in English………classic novels, philosophy……….you name it, he is intrigued by it. He also introduced me to Spanish literary works, and encourages me in my quest to become more fluent in this language. Here is a photo of him giving us an anatomy lesson. And here he is proudly displaying his diploma upon completing a grammar unit. When I moved to Mazatlan, we kept in touch via Facebook and What’s App. Pedro has also become a loyal follower of my blog posts. And he is now studying French in his constant search for knowledge. And he is an avid cyclist. I snagged this photo of him last month when I was in Guadalajara last month. Back in January I was faced with the dilemma of where to have cataract surgery. I was not confident with either of the two doctors I had seen here in Mazatlan. And if I went back to Winnipeg I was looking at a surgery date of September for the first eye. My anxiety level was at an all-time high and I could feel a cloud of depression about to descend. What do I do when I’m upset? I write. So I wrote a blog post called Curve Ball. One of the first comments I received was from Pedro, wanting to know what my problem was. So I messaged him and explained. He asked if he could check around and help me. I agreed and the following day he phoned me with the name and phone number of a colleague at the hospital where he works. I finally got the courage and entered the number in my cell phone. To my surprise it was a personal number complete with What’s App, rather than an office number. The doctor answered immediately and asked if I wanted to come in the next day. Taken aback, I explained that I needed to organize a few things before I could come to Guadalajara. So we agreed to a time the following week. The rest is history. The entire experience was a great one, where everything went smoothly. I was impressed with the technology and most of all the professionalism of the staff. Everyone was most attentive, caring and compassionate before, during and after the surgery. Back to Pedro. He welcomed me into his home, where his daughter gave up her bedroom to me when I stayed there after the surgeries. He accompanied me to my surgery and if I couldn’t see my own kids’ faces immediately upon leaving the recovery room, it was definitely a feel good to see Pedro’s face after the first surgery. Pedro’s wife Maria is also a doctor in an emergency room, and she was there waiting for me when I came out of the second surgery as Pedro had to go back to work. Needless to say, their support means the world to me. I could never have done this without them. Living in a foreign country with no blood family here, my friends are important to me and they become my family. I am both honored and proud to include Pedro and Maria among them. I am truly blessed that Pedro came into my classroom that day back in 2013. Today is his birthday so I thought this blog post would be appropriate. I hope you have a fabulous day, Pedro, and an amazing year. Feliz Cumple! The other night I was surfing through YouTube when a link caught my eye. Back in 1976 a series called Family debuted. It focused on the lives of a family in Pasadena. Nancy, the 25 year-old daughter had dropped out of school four years previously to marry a young millionaire. Willie, the son in his late teens had dropped out of school and wasn’t sure just where he was headed. And then there was Buddy, played by Kristy McNichol. She was an adorable little tomboy about twelve years old who was in a hurry to grow up. I recall watching the pilot for this series when I was in San Diego visiting my parents in February of 1976. My husband and I had come down for ten days. He went back to Winnipeg and I was in no hurry to go back. Instead I decided to stay with my parents for a while. And I’m glad I did as less than a year later a massive heart attack took my dad from me. Growing up I was always daddy’s little girl. In his eyes the sun rose and set on me. So I could really identify with Nancy who was also the apple of her father’s eye. My dad was always there for me. I could talk to him about anything and everything. While he didn’t always agree with my choices, he was never overtly critical or judgmental. That February, a lot of our discussion revolved around my marriage. I had married young at the age of twenty-one, as had several of my friends in the summer of 1973. The difference was that after not even four years, I was the only one still married. And sadly, I was not happy in my marriage. In reality, I had consulted with a divorce lawyer only six months after I had married. I was advised to hang in there as any relationship takes time and effort in order to be successful. But it was now close to four years and not much had changed. My dad was in an awkward position at that time. With failing health, it was in his best interests that both my husband and I remain active in the family business. After all, it did provide all of us with incomes, and in the future would also provide for my mother when he was gone. And yet he understood that I was unhappy. This time it was just not possible to come to a solution whereby we would both be completely satisfied. When my dad died, there was nobody to fill that void in my life. I had lost my best friend. I had no-one to confide in and I was more distraught than ever. I was overwhelmed with grief and overnight was thrown into a role of running a corporation, something that a degree in psychology and sociology had not prepared me for. And my marriage was still a struggle as well. And then an unplanned pregnancy turned into the greatest blessing in my life. A second pregnancy followed and I soon found myself living my life vicariously through my children as the years sped by. These were the happiest years of my life. I volunteered in programs my children were involved in and never missed a band concert or a graduation. My days were busy and I felt fulfilled. But suddenly my children were all grown up and had moved out on their own. Once again I had a huge void in my life. My husband and I had become strangers. We had grown so far apart that there was no hope of reconciliation once we separated. In fact, we had become bitter enemies who communicated through lawyers until the divorce was final. I reflect on those episodes of Family and I envy Nancy as she had the strength to walk away from an unhappy marriage. I wish I could have jumped through the television screen and warned Buddy not to be in such a hurry to grow up. I wonder if Kate and Doug would still be married today once they became empty-nesters. Do you remember when you were a child? When everything seemed so simple and so routine? Our parents took all our worries away and we simply enjoyed life. Those days were so carefree and so magical. Of course we never realized it back then. After all, we were in such a hurry to grow up. And then came those teenage years. More of a challenge but still blissful. Testing and seeing how far we could push the envelope. We now had more freedom and it many cases far too much. Eager to explore, we were often ruthless and reckless. All too soon those years came to an end and we were full-fledged adults. We now had responsibilities along with our independence. We now were encouraged more than ever to conform to society’s norms. And when children came along we became role models and mentors. Life does not always go as planned. We often discover that there is no happily ever after as we had once believed. Stress becomes our constant companion and not necessarily our best friend. Consequently we find ourselves struggling to meet the expectations of others and accept society’s norms, which in turn causes a myriad of problems. We often feel that happily ever after exists only in fairy tales, until one day our eyes are opened and we are able to envision a life that is amazingly different from any type of existence we ever believed possible. Better still, it is easily within our grasp. The big question here is whether or not we take that giant leap and embrace the risk. I did. I know that my family and many of my friends do not understand my lifestyle. They think it is a stage I am going through and that one day I will come out of it and return to their concept of reality. However, ever the non-conformist, I know that I have changed too much to ever regress back to that type of life. And their disapproval and criticism are meaningless to me, even in the face of this most recent gigantic curve ball. Like all other curve balls thrown at me in my life, it cannot stay up in the air forever. It actually began its slow descent on a convoluted path yesterday morning. And I must be patient. A memory showed up on my Facebook page today. Four years ago today I had just arrived in Tlaquepaque and had begun teaching at Culturlingua. One night after class I went to a bar called Otro Nivel with some other teachers. 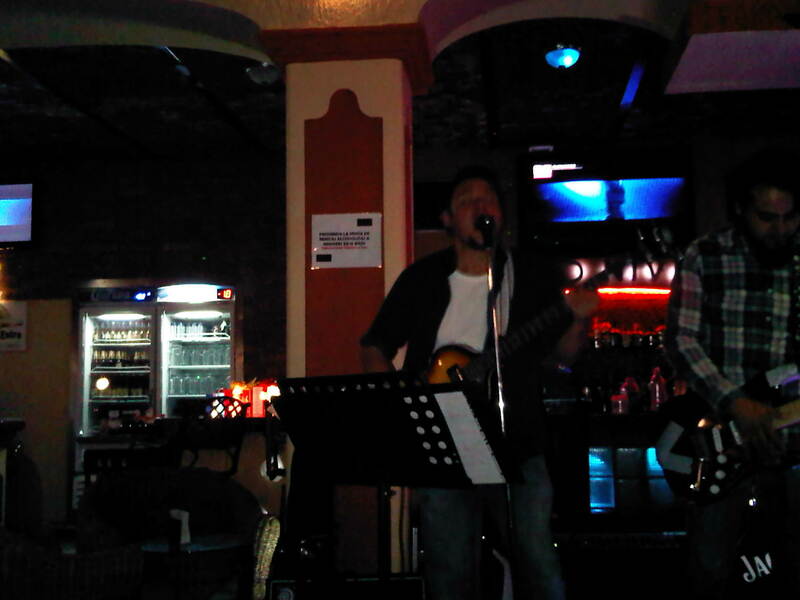 There was a fabulous Mexican band playing awesome English rock music from the 60s and the cerveza was 2 for 1. 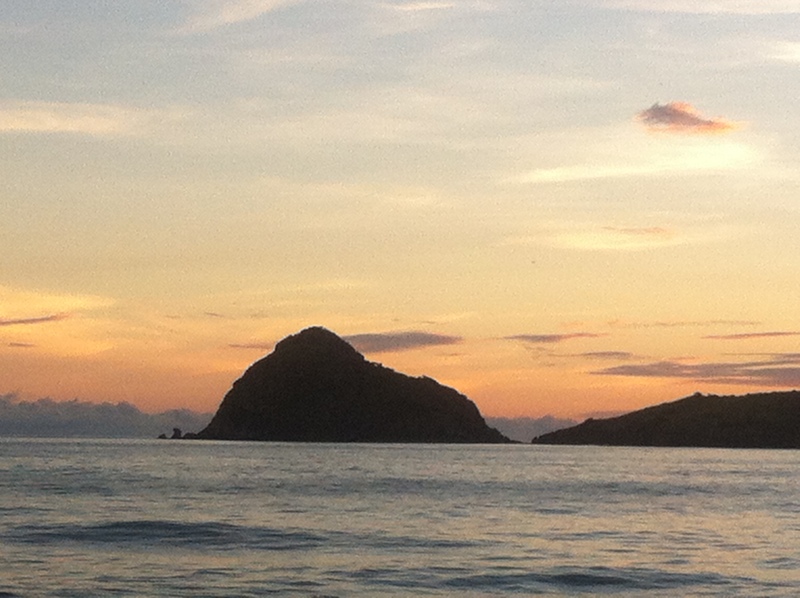 I live in Mazatlan now and that night at the bar still seems like yesterday although years have passed by. Life is for living. There are so many adventures out there just waiting in the wings. Of course the hitch is that this involves change, and many people thrive on routine and the security that it provides. I’ve come to the conclusion that I thrive on change, not on routine. Otherwise I would never have arrived in Tlaquepaque in October of 2011. In July of 2011 I returned to Winnipeg after teaching in Culiacan. I halfheartedly began searching for a job. But Mexico had stolen my heart, and I knew that I no longer wanted to call Winnipeg “home.” I received a job offer from a school in Irapuato and a month later I was on a plane headed for Leon. I was excited to be back in Mexico although life in Irapuato was definitely different from life in Culiacan. A sleepy little pueblo where the highlight was the soccer stadium didn’t have much appeal. The school was a disaster as the actual job in no way, shape or form resembled the promises on the Skype interview. But my supervisor Pilar became a good friend. The last Saturday in September, Pilar and I were sipping cappuccinos at The Italian Coffee Company when my phone rang. I glanced at it briefly and Pilar asked who I knew in Mexico City, as that was the area code on the call display. I remarked that it must have been a wrong number or a telemarketer as I didn’t have that number stored in my contacts. My phone rang again a few minutes later and the same number showed up. Annoyed, I turned it off. I returned home several hours later and turned my phone back on. That Mexico City number had called another four times! Intrigued, I decided to call that number. After all, what if it was an emergency or someone was dying and they were frantically calling my number in error? But it was no error. Instead it was a job offer. Greg was the owner of Culturlingua in Tlaquepaque. A teacher had left unexpectedly and he was looking for another teacher. He’d seen my resume up on Dave’s ESL Cafe and had been calling me all day. I told him I needed some time to think about it. He gave me until later that evening. I hung up on him and tried calling Pilar but got voicemail. And I pondered the situation. I was dissatisfied with my job. My housemates were less than desirable. The school had yet to provide me with promised health coverage. But the best was that they had not provided me with a contract either so there really was nothing tying me down to Irapuato. I called Greg back and accepted his offer. And I left a message for Pilar. It was now after 8 pm and I had a lot to do. I had to pack and that was complicated by the fact that I had two heavy suitcases that I needed to somehow get down the stairs. Nate and Margie came to my rescue. They were teachers from Hawaii and were as disillusioned with the situation in Irapuato as I was. They agreed to meet me early in the morning and help me with my suitcases. I was so excited that night I could barely sleep! Early the next morning before anyone in my house was up, Nate and Margie arrived and helped me with my suitcases. We had to walk a couple of blocks down the street until we found a taxi. I felt like I was fleeing a prison! Did I mention that the director of English at the school lived next door to me in the same house as Nate and Margie? He was pretty livid when he realized I was AWOL. But by then I was on a bus headed for Guadalajara. I should add that Nate and Margie made their own escape shortly thereafter. I have never looked back. Moving to Tlaquepaque was one of the best decisions I have ever made in my life. I have met some amazing people, have taught awesome students and have had incredible adventures. My move here to Mazatlan was far less dramatic. I miss Guadalajara and the friends I have left behind. But I am drawn to the beach, to the calming azure waters and the smell of the salty sea air. And I know that more amazing people and incredible adventures await me here. Life is about living. Life is about change. I heard a song the other day that I hadn’t heard in decades. The tune keeps running through my head and the words haunt me. I’m referring to “Let Me Be” by The Turtles. As a teenager, this song had been one of my mantras. But then marriage and life set in and I fell into the common trap of trying to be the person everyone else wanted me to be, but not the person that I really wanted to be. And I am now at a stage in my life where I have the opportunity to find that person who had lost her way for so many years in the gargantuan abyss of others’ expectations. I graduated from university in May and got married in June. I was only twenty-one, but then that was expected back in the seventies. Pre-nups? Unheard of in those days. My trust fund bought our first house. My husband became firmly ensconced in a business run by my family. And I soon found myself sucked in as well. Strong and ugly words to describe that one. But in those days I always put everyone else first. My dad was ill and it made it easier on everyone if my husband and I were involved in the business. And it did provide employment for both of us. But growing up I always resented the fact that my dad was consumed by this business. He was always working. I remember packing up my homework and going back to the office with him at night so that I could spend time with him. And then my own children came along. Fortunately I was able to move my office home and I had the luxury of being a stay-at-home mom. Of course when my babies napped, I never got to relax. Payroll, month-end, year-end, taxes………..there was no end to it. And I had also gone back to college to obtain business administration and accounting certifications. Yes, that business had indeed sucked me in over the years. I look back at my life and have no regrets. My happiest days were those spent with my children while they were growing up. And I know that I have instilled upon them the importance of getting an education. Both of them are established in professional careers and are thriving. I am so very proud of them, and they are the loves of my life. When the opportunity to sell the business arose, I jumped at it. Of course it also marked the beginning of the end of my marriage. But more importantly, it also was a time of personal growth for me. I continued to pursue my university education despite the lack of support from my husband. And then once the marriage ended, I completed my degree and created a new and exciting life for myself here in Mexico. I am finally now doing what I want to do. I don’t care what others expect of me. I am constantly criticized because I have chosen to live in Mexico and lead the lifestyle I do. Personally I feel that it takes guts to do what I do. And I am quite content with the simple life I have here. I teach, I write and I do volunteer work. I wake up in the morning with a smile on my face and eagerly anticipate what the day will bring. I am happy. Now, if only my children would come here for a visit…………..that would make me even happier.